Trooper Jason Beal died three days after being struck by a vehicle while assisting a tow truck driver who was removing a vehicle from a ditch on State Road 14 in Kosciusko County. The incident occurred when another vehicle entered the area and attempted to slow down, but the driver lost control of the vehicle in the icy conditions. The vehicle struck the tow truck and then Trooper Beal, causing severe internal injuries. He was transported to a local hospital where he remained for three days and passed away shortly after being taken off life support, one day before his 25th birthday. 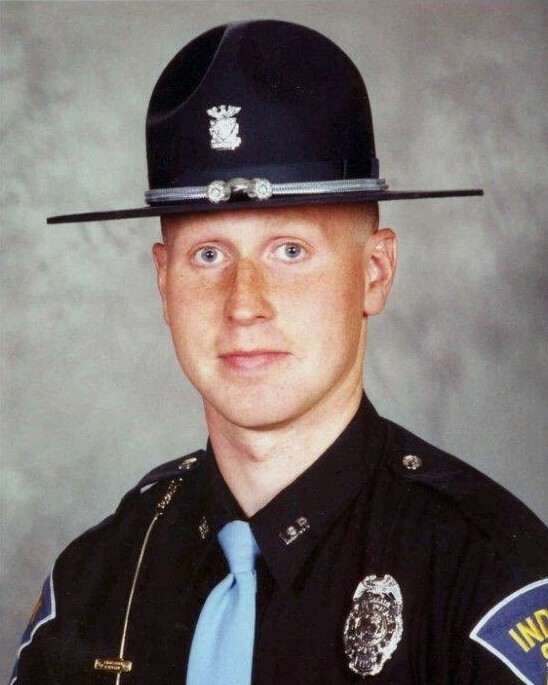 Trooper Beal had served with the Indiana State Police for 13 months and was assigned to the Bremen post. He had previously served as a jailer for the Shelby County Sheriff's Department and as a reserve police officer for the Shelbyville Police Department. Trooper Beal was survived by his wife and a son who was born five months after his death, his parents, two brothers, three sisters, and three nephews. In 2010, a section of State Road 14 in southeastern Kosciusko County was dedicated the Jason E. Beal Memorial Highway in his honor. Trooper Beal was the third of three troopers in 10 months to be killed in the line of duty from the 56th ISP Recruit Academy which graduated in December 1998. Hi uncle Jason it’s you older nephew dalton. Sorry I never write to you I could never really build the strength too. I miss you so much wish you could be here to see everyone and what they been up to. I have been in the military for 6yrs now. I joined because of you. I looked up to you and I still do. You are my role model. Mom and uncle Danny and David have told me so many stories of you guys growing up some of which are pretty funny. Everything in with the family is going okay it could be better. Uncle Danny just got out the hospital a couple of weeks ago from heart issues but he’s doing better now. And we were really close to losing mom a few years ago but she pushed through and she’s been doing a lot better now. Marquis has a family of his own which is great for him. I have been focused on making a career for myself so no family. But I think that’s enough for now I will talk to you later uncle Jason I really miss you and can’t help to get all flustered and sad when I think about you. I love you until next time.